We pray that you would be blessed by the products that we offer. If there is anything we can do to assist you. Please let us know. Who I Am in Christ is a list of many scriptures that teach you who you really are in Christ, and the power and authority you have in Christ. 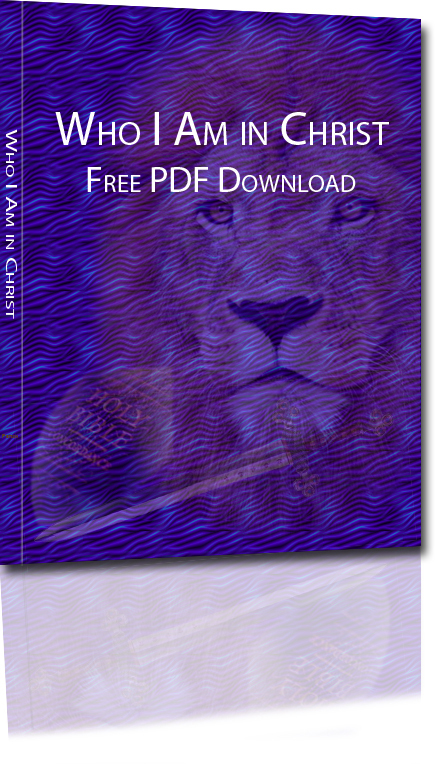 DownloadWho I Am in Christ for FREE! Paul informs us in 1 Corinthians 12:1, not to be ignorant pertaining to spiritual gifts. InGifts of the Holy Spirit, you will learn about the various spiritual gifts found throughout the Bible. 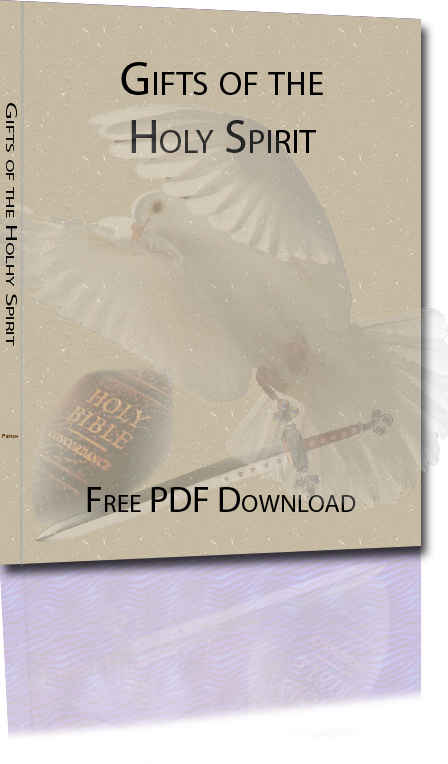 Download Gifts of the Holy Spirit for FREE! Welcome to 25 Days in December. 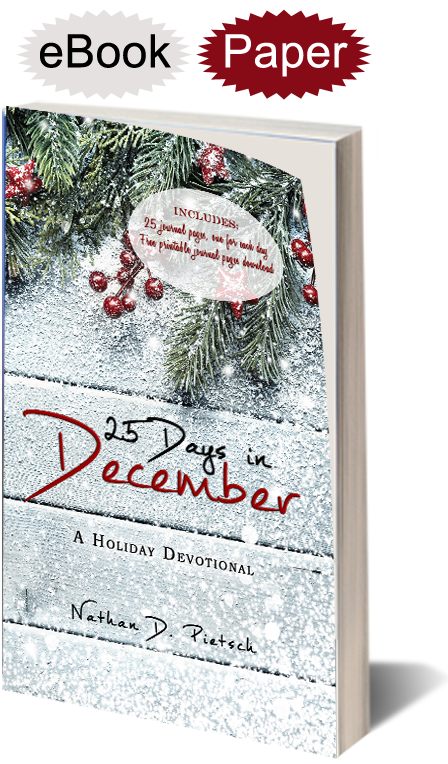 This holiday devotional activation book is centered around the "Christmas Story" as told in the Bible. As soon as you begin reading, you will embark on a wonderful journey of self-discovery, exploration, and revelation. I am very excited for you. The "Christmas Story" is one of the most well-known stories in history. This story speaks of Jesus' birth, wise men, and the star of Bethlehem to name some features. The story begins at the conception of Jesus in the Virgin Mary and continues until Jesus is a young Child of about three years of age. Throughout 25 Days in December, we will examine the "Christmas Story" as recorded in the Bible. We will specifically look at Luke 1:26-56, Luke 2:1-40, and Matthew 1:18-2:23. When Grace Burley was six years old, she was physically abused and knocked out by her disturbed father, leaving her in an emotional barricade which kept others out, and her bound deep inside. While Grace is unconscious from her father's fist, she finds herself being led deep into a dark forest by a white wolf with glowing yellow eyes. The wolf is a deceiver, but ensures Grace he is there to protect her. The wolf leads her into a giant stronghold made known to Grace as "Cayed Castle". 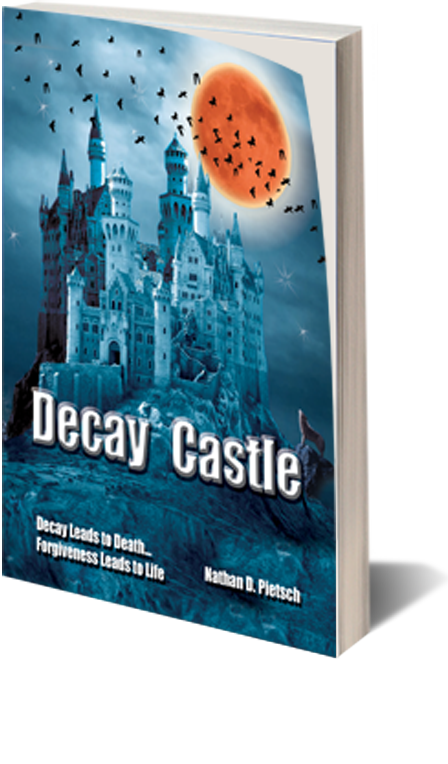 However, it is really a fortress that leads to death called, Decay Castle. Once Grace is secure in Decay Castle, feelings of worthlessness, insignificance, and fear are embedded deep into her mind. Despite Grace maturing into a beautiful woman, she finds herself in a downward spiral of depression and hopelessness. She eventually marries a man named Brock. Their marriage quickly declines as Grace's shame and insecurities push Brock away. In order to rescue Grace, Brock ventures into the realm where Grace is bound. Inside this realm, he faces wolves, ravens, serpents, and scorpions. He also attempts to overcome many obstacles in an effort to rescue his captive princess. For several years, Nathan and Dawn Pietsch traveled the streets across the United States looking for broken and desperate people to encourage, minister to, and pray for. They found hundreds of broken people. This book represents those true encounters. 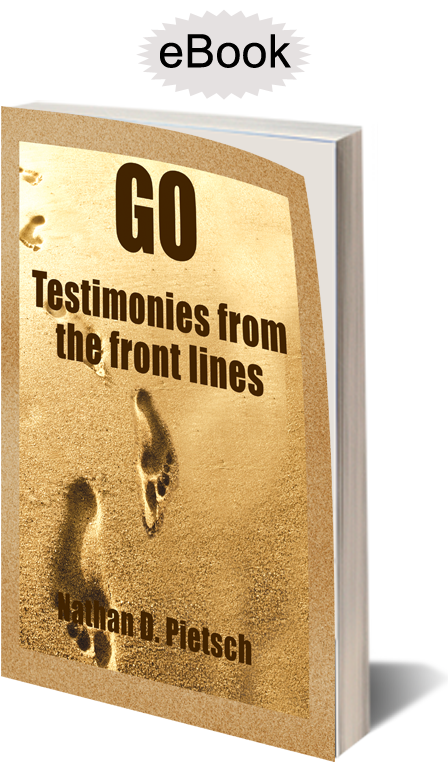 As you read these amazing testimonies, you will be inspired, stretched, and empowered. 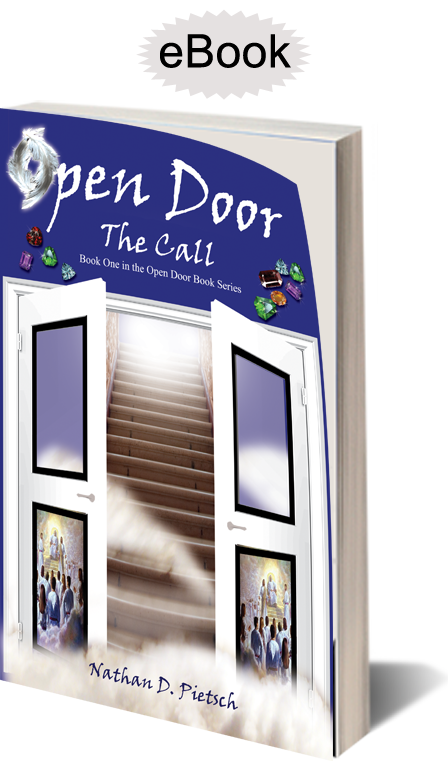 This book will take you on a marvelous journey of faith, miracles, and the supernatural. You will be shocked and encouraged by hearing about true encounters with: witches, prostitutes, gang members, drug addicts, and demon possessed people. 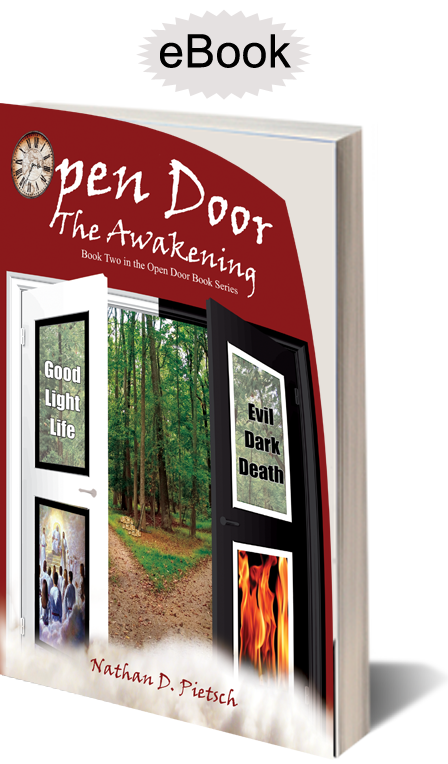 The second portion of the book activates and empowers the reader to fulfill their own God-given destiny. In Matthew 10:8, Jesus commanded His followers to: heal the sick, cleanse the lepers, raise the dead, and cast out demons. This book will help the reader accomplish Jesus' command. Not only will the reader be inspired to live their life passionately for Jesus, they will also learn about: their royal identity in Christ, the kingdom of God, the holy supernatural, who is the Holy Spirit, weapons of spiritual warfare, war strategies, and what they can do to become a powerful warrior who expels the darkness. Pleasant Fruits: Sweet Whispers from the Heavenly Father, Jesus Christ, and Holy Spirit is a personal daily devotional book containing words of edification, exhortation, and comfort written as a firsthand "love letter" from God to you. 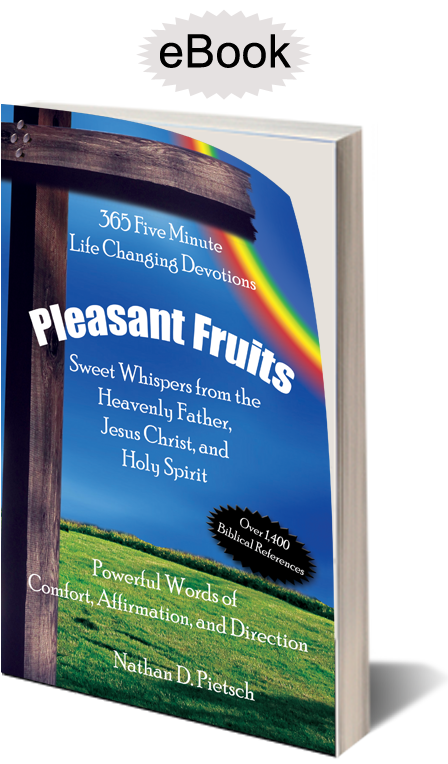 Pleasant Fruits contain short devotionals that are filled with divinely inspired treasures from Heaven for each day of the year. Inside these powerful pages, you will find words of reassurance, affirmation, and direction. Every devotion is thoroughly laced and supported with scripture. Each day is written as if God were speaking specifically to you. Pleasant Fruits is designed to connect the reader to the hearts of each Person of the Trinity. Many Christians find it difficult to relate with the Heavenly Father or Holy Spirit. Each devotion is written from the perspective of either the Heavenly Father, Jesus Christ, or Holy Spirit. The devotions speak directly from the heart of each Person. This creates a greater connection between the reader, and each Person of the Trinity. The words will make you increasingly aware of each Person's presence, enabling you to enjoy relationship at a much deeper level. When Jesus physically walked the earth He healed the multitudes. The Bible gives us numerous accounts of people He healed supernaturally. Jesus healed people who were tormented by demons, physically infirmed, and spiritually lost. Jesus even raised people from the dead. Jesus Christ is the same yesterday, today, and forever (Hebrews 13:8). Divine health and healing are available for you today. 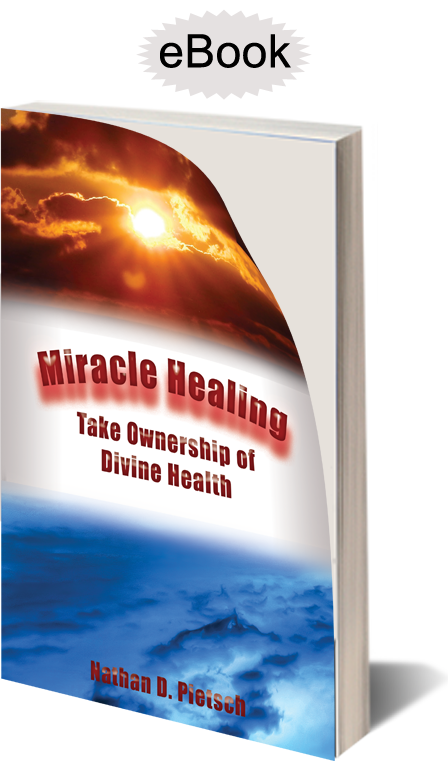 This book will show you how to receive your miracle. Contained in this book are the most significant words ever spoken by a human being. They are the words of Jesus Christ of Nazareth who came in the flesh. The meat of this book contains Christ's words that are identified in the Bible by red letters. However, the human narration of the Biblical authors: Matthew, Mark, Luke, and John have been extracted. Only the red lettered words spoken by Jesus Christ remain. Inside the red lettered words of Jesus, you will find parables, instructions, encouragement, and comfort. You will find prophecies Jesus spoke concerning the end of days. You will also find the one and only path that leads to the Heavenly Father and into the kingdom of heaven. By exploring what the Bible teaches on Jesus' death, burial, and resurrection we will validate the truthfulness of Christ's claim to be the Son of God. We can thus validate the truth of His spoken words. We will also look at numerous Biblical prophecies that were fulfilled in Jesus Christ. The fulfilled prophecies point to Jesus as being the Messiah. The apostle Paul wrote in 1 Corinthians 15:3-4: 3 For I delivered to you first of all that which I also received: that Christ died for our sins according to the Scriptures, 4 and that He was buried, and that He rose again the third day according to the Scriptures. 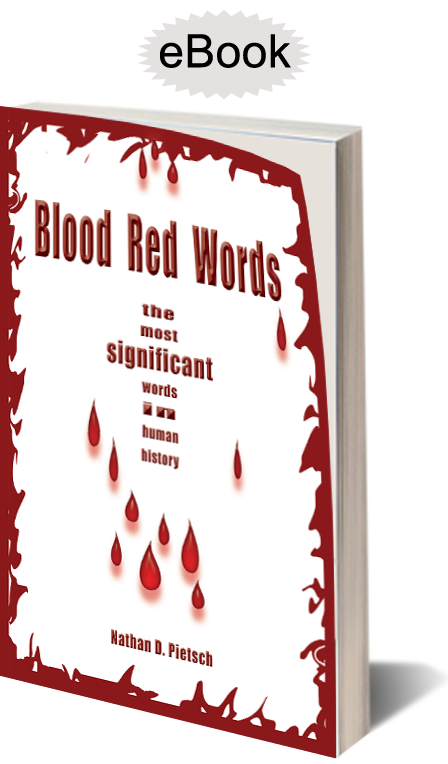 One reason this book is entitled, Blood Red Words is because the sustenance of this book are the red lettered words spoken by Jesus recorded in the Bible. Another reason for this title is because I want the readers to understand, see, and experience the power of Jesus' shed blood in their own lives. Jesus' purpose was to pour out His blood upon the cross for the remission of human sin. Jesus was the ultimate sacrifice. Before Jesus died on the cross, animals such as oxen, goats, sheep, and birds were killed as a sacrifice in an effort to remove people's sins. God actually required animal sacrifices to provide a temporary covering of human sins (Leviticus 4:35, 5:10). The animal sacrifices were a foreshadow of the one perfect and complete sacrifice of Jesus Christ on the cross. Humans no longer need to offer animal sacrifices today. Animal sacrifices have ended because Jesus Christ was the perfect sacrifice. John the Baptist recognized Jesus as the sacrificial Lamb. When John saw Jesus coming to him to be baptized, John said, "Behold! The Lamb of God who takes away the sin of the world!" (John 1:29). Jesus Christ took our sin upon Himself and died in our place. Jesus was faultless but willingly gave Himself to die for the sins of mankind (1 Timothy 2:6). Jesus laid down His own life. He had power to lay it down, and He had power to take it again (John 10:17-18). Jesus laid down His life to take our sins upon Him. In Second Corinthians 5:21 the apostle Paul wrote of Jesus saying, "For He [God] made Him [Jesus] who knew no sin to be sin for us, that we might become the righteousness of God in Him." As you read Jesus' words in red found in this book, think of what Jesus' sacrifice means to you. Meditate on His blood red words and see what He endured for you. As you go through this book, answer the following questions. What has Jesus' blood personally done for me? What would I be doing without the sacrifice of Jesus upon the cross? Where would I be without the blood red words of Jesus? You were created for a specific reason, at this specific time, to fulfill a specific purpose. You have a royal destiny. However, you will need to find the purpose in life so you can accomplish your royal destiny. Your Royal Destiny: Discovering Your Significance will help you find and achieve your life's purpose. Your Royal Destiny: Discovering Your Significance is designed to impart into you the tools, gifts, revelations, wisdom, and knowledge to help you fulfill your God-given destiny. It is a watering trough for all people searching for significance. It is a fountain for all people wanting to discover their life's purpose. It is a drinking well for all people wanting to fulfill their royal destiny. This book will help accomplish this by showing you how to step into your destiny. The first step to fulfilling your destiny is to get on the royal path. This path leads to the Kingdom of Heaven. Inside the Kingdom you will find the King. The King is Jesus Christ. This King is the King of kings and Lord of lords. His arms of love are wide open ready to embrace and empower you. After you are on the royal path, you will learn about the Kingdom of Heaven and what it offers you. You will also learn how to hear the King's voice so you can receive your marching orders from Him. The marching orders you receive from the King are directly linked to discovering your significance. Don't worry, you will have a Guide, a Helper, a Comforter. His name is the Holy Spirit. The Holy Spirit will help you navigate on this road called life. He has numerous spiritual gifts awaiting you that will empower you to perform miraculous signs, wonders, and miracles for God's glory. Throughout this book you will also learn about the weapons of warfare. These weapons will help you along your journey. These weapons will help you remain free from oppression, depression, turmoil, and disease if your enemies should come in like a flood. In the midst of it, you will learn how to cultivate God's presence, which will be your help and shield. Your Royal Destiny: Discovering Your Significance will help guide you in these processes. 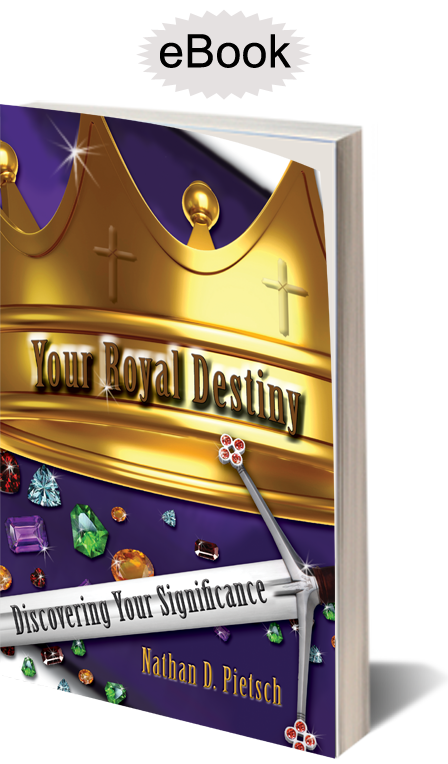 This book is a condensed version or speed read edition of, Your Royal Destiny: Discovering Your Significance. You were created for a specific reason, at this specific time, to fulfill a specific purpose. You have a royal destiny. However, you will need to find the purpose in life so you can accomplish your royal destiny. Your Royal Destiny: Discovering Your Significance Speed Read Edition will help you find and achieve your life's purpose. This book is designed to impart into you the tools, gifts, revelations, wisdom, and knowledge to help you fulfill your God-given destiny. It is a watering trough for all people searching for significance. It is a fountain for all people wanting to discover their life's purpose. It is a drinking well for all people wanting to fulfill their royal destiny. Throughout this book you will also learn about the weapons of warfare. These weapons will help you along your journey. These weapons will help you remain free from oppression, depression, turmoil, and disease if your enemies should come in like a flood. In the midst of it, you will learn how to cultivate God's presence, which will be your help and shield. 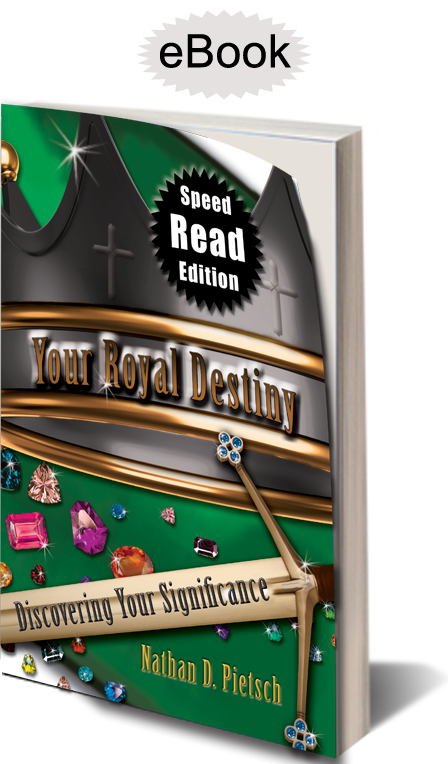 Your Royal Destiny: Discovering Your Significance Speed Read Edition will help guide you in these processes. This book is written specifically for new believers in Christ to help guide them in their Christian walk. You were created for a specific reason, at this specific time, to fulfill a specific purpose. You have a royal destiny. However, you will need to find the purpose in life so you can accomplish your royal destiny. Your Royal Destiny: New Believer's Guide will help you find and achieve your life's purpose. 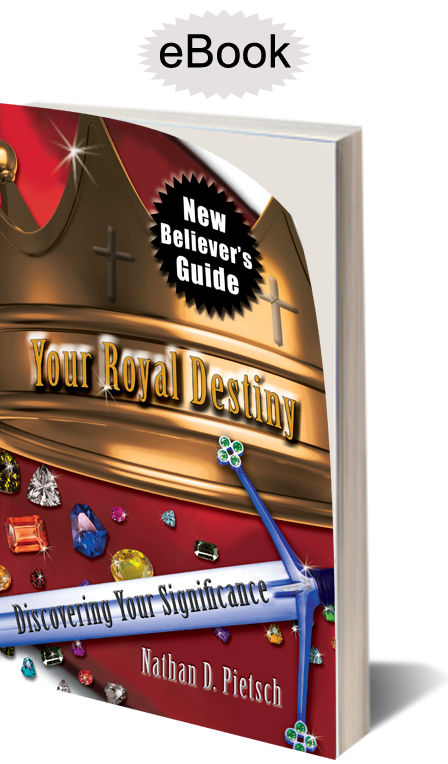 Your Royal Destiny: New Believer's Guide is designed to impart into you the tools, gifts, revelations, wisdom, and knowledge to help you fulfill your God-given destiny. It is a watering trough for all people searching for significance. It is a fountain for all people wanting to discover their life's purpose. It is a drinking well for all people wanting to fulfill their royal destiny. Throughout this book you will learn about the Kingdom of Heaven and what it offers you. You will also learn how to hear the King's voice so you can receive your marching orders from Him. The marching orders you receive from the King are directly linked to discovering your significance. Don't worry, you will have a Guide, a Helper, a Comforter. His name is the Holy Spirit. The Holy Spirit will help you navigate on this road called life. He has numerous spiritual gifts awaiting you that will empower you to perform miraculous signs, wonders, and miracles for God's glory. Throughout this book you will also learn about the weapons of warfare. These weapons will help you along your journey. These weapons will help you remain free from oppression, depression, turmoil, and disease if your enemies should come in like a flood. In the midst of it, you will learn how to cultivate God's presence, which will be your help and shield. Your Royal Destiny: New Believer's Guide will help guide you in these processes. When Daniel A. Tremaine, a 14-year old boy had an "encounter," he soon realized it was God Himself who visited him, and changed his ordinary life into a grand adventure of the miraculous, supernatural, and impossible. After Danny's encounter, he begins to see in the Spirit, which enables him to minister joy, freedom, and salvation to his middle school classmates. He is also able to see that his 7th grade math teacher, Mrs. Johansen is critically ill with stomach cancer. Despite Danny's insecurities, he finds the courage to speak with Mrs. Johansen. Mrs. Johansen permits Danny to pray for her. While Danny is praying, he is able to see in the Spirit two heavenly angels bring new body organs for Mrs. Johansen. This results in her complete healing of stage four stomach cancer. Danny has no understanding of what he is seeing in the Spirit, or what is happening to him. He begins to wonder if he is going crazy. However, the Holy Spirit begins to teach and guide Danny in the ways of the kingdom. God also begins to reveal mysteries to Danny, and even shows him a body parts room in heaven. After Danny's encounter, it was normal for him to have supernatural experiences. Danny begins to experience unexplainable events. In addition to his experiences, an incredible power is beginning to develop in him. However, he is not the only one growing in power. A very dark army is rising that is also operating in the supernatural. Danny and his friends need to arise rapidly in order to confront the coming darkness. Fortunately, Danny is being mentored by James and Alysha, two Lightstormers who have been trained to flow in the supernatural realm. However, time is growing short for them to ward off an evil group known as the Dark Knights of the Secret Cloak led by Banshee and Jezz. The two opposing forces find themselves at enmity with each other in a cosmic clash between light verses dark, good verses evil, and heaven verses hell. Read about a number of miracles and other testimonies in our BLOG! Learn about the Gifts of the Holy Spirit. Check out additional FREE resources and preaching notes.